Summertime dressing can go one of two ways: Either you underestimate the humidity factor and wear a "summer knit" that you regret immediately, or you opt for the other extreme with a look that's almost NSFW (which doesn't exactly fly for most situations). Since both of those are no-gos, we're hoping to guide your dazed style mishaps toward a happy medium that'll have you trusting you won't sweat to death or require your own personal misting fan. To start, we created a few surefire outfit recipes with Caribbean conditions in mind — because if you can survive the sauna-like weather there, you can handle it anywhere. Using the most breathable picks from the Thalia Sodi collection, created for Macy's, each look relies on just two key pieces (so there's no risk of overheating). From an office-appropriate cutout blouse and pencil skirt pairing to a totally nostalgic '90s cami and denim duo that'll serve you late into the night, the four mashups ahead promise to keep you lookin' summertime fine no matter the occasion. Mix these easy-to-follow formulas with the one hot-weather blessing — a permanent dewy glow — and your heat-wave look is locked and loaded. 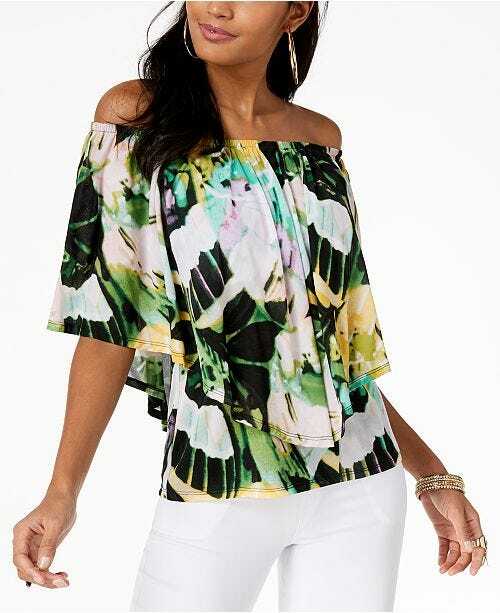 An airy, tropical-print blouse feels like the quintessential summer staple. 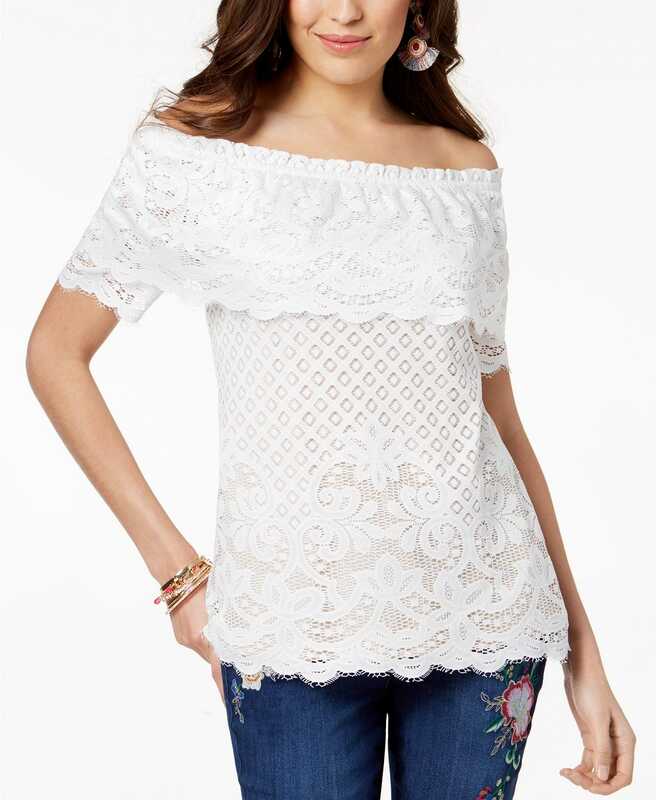 This particular top can be worn as pictured off both shoulders or draped off just one. Pair it with white high-waisted shorts and flat sandals for a no-fuss look you'll feel comfortable (and ventilated) in. When shorts aren't the move (i.e. 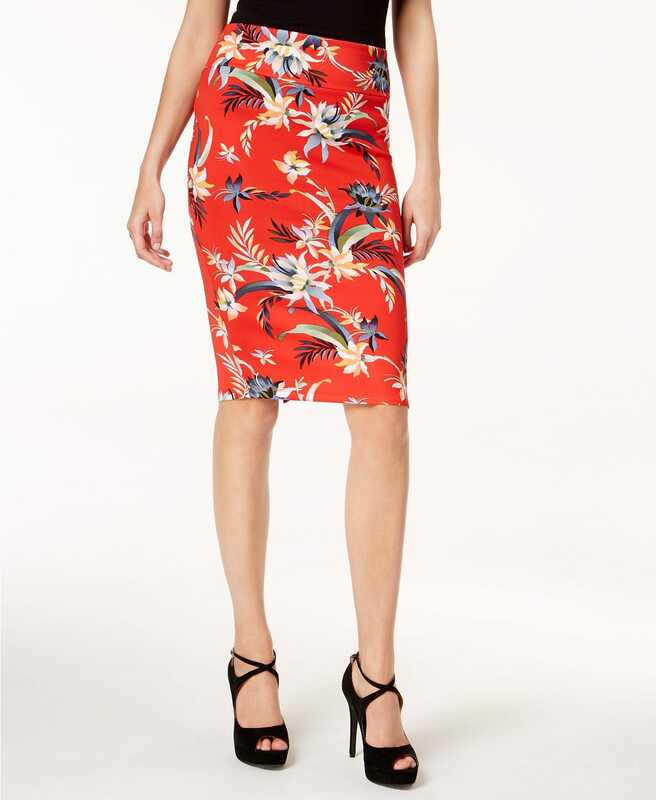 when your office dress code is strict AF), try a summery pencil skirt in the season's It shade of red styled with a ruffled tank blouse. The shoulder cutouts on top will keep you nice and cool but still feeling work appropriate. 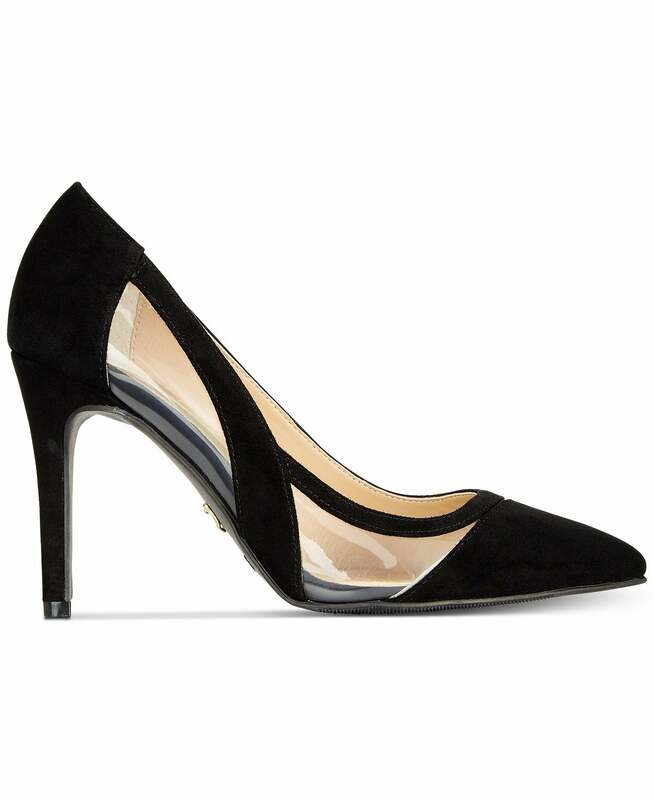 Dress up the look further with gold jewelry and pumps that also hit on the cutout trend for maximal breathability. While this white wonder could pass for a romantic dress, it's really a seamless mashup of two tiered pieces. Here, we tucked a lacy blouse into an asymmetric midi-skirt in a similar pattern for consistency. With slicked-back hair, minimal jewelry, and hot-pink metallic heels, there's no tellin' where this saucy outfit will take you. It doesn't get more classic than this easy twosome. Bring back the '90s cami for day-to-night wear by styling it with skinny jeans, a red lip, and chunky hoop earrings. No longer just your go-to lounge top, this strappy tank will surely help you beat the heat.